This is an odd request, but if anyone in or near Wisconsin who has or knows of a driver door for a 90 Honda CRX please let me know. Ours got pretty smashed up at our last race and they seem to be hard to come by. It feels pretty dang good to be one only only two Hondas out of a pretty good number of them in the series to be Champ eligible. And they are both CRX's. (Third Gear Pulls) If anyone is wondering, we run a little B16. 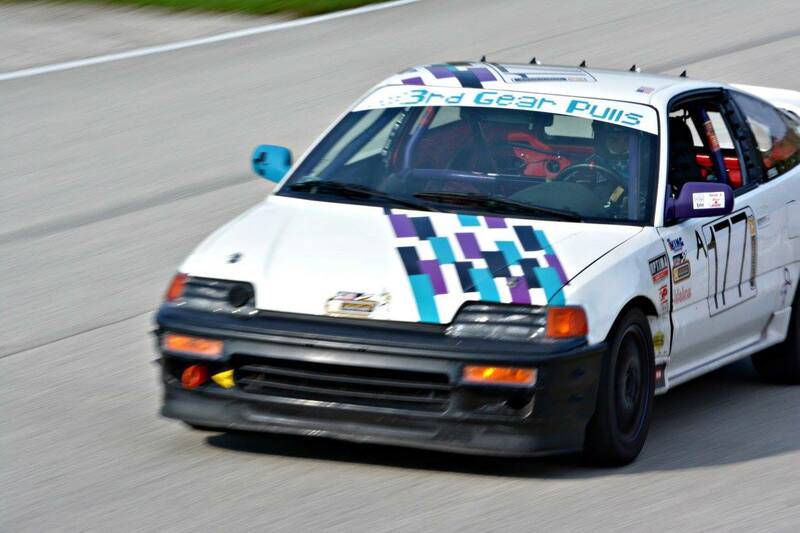 During our last race at Road America our Third Gear Pulls CRX got nailed by another team who was a little too slidy in the rain and bent a couple of our wheels. Looking for an inexpensive set to replace the bad ones. We are located in Milwaukee, WI. 15x7 or 15x6.5 is preffered. They done need to be pretty, just not damaged. If the pending sale on the ECU and Hondata falls through, I would be very interested. Are any of these wheels still for sale? We will be racing the glen in a couple of weeks for picking up a set or two. I got a set of the st-43s from knsbrakes. Ken was the guy who helped me, super knowledgable about anything brake related. First time to Watkins Glenn: Camp or Hotel? You mean, that well built within the rules motor is loud . Ran the hawk blues at RA twice. Both times we got horrible brake shutter by the end of one day. We have pretty good brake ducting as well. Our car is a CRX(third grear pulls) so it uses more front brake. Also , what are the rules for a cars decibel level for the Glen? Strict? Loose? Our car is on the louder side and I do not want to be screwed out of racing because of decibel level. Reserved my room at the Seneca Lodge. What are some other places to check out while in town?